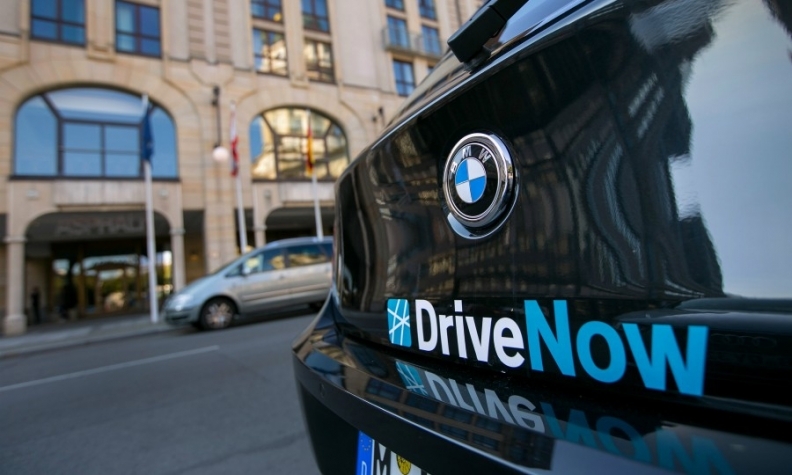 The pending fusion of BMW's DriveNow (shown) and Daimler's Car2Go may be the first of many mergers in the fast-changing car-sharing and mobility services sector. Nearly every major automaker in Europe is involved in car-sharing to some degree, from pilot programs with just a few dozen cars to large-scale services in major cities. There are signs this year that the sector, which is also referred to as short-term rentals, is starting to mature, with several operations closing and the two biggest players, Daimler’s Car2Go and BMW’s DriveNow, announcing a merger in an effort to build scale and fend off competition from digital and technology companies such as Uber and Didi. Volkswagen, Europe’s largest brand, this summer announced that it would place 2,000 electric vehicles on the streets of Berlin, the company’s largest car-sharing initiative yet. 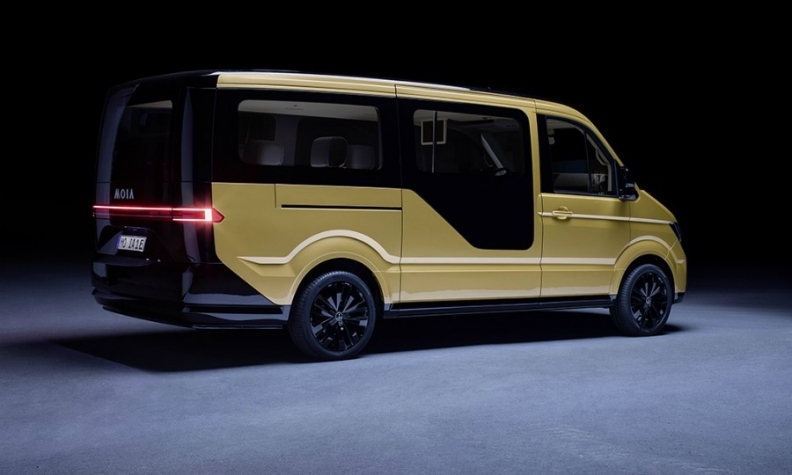 In addition, VW Group’s fledgling Moia mobility unit has been running a test service in Hamburg using an electric minibus. The idea of the service is to help reduce traffic jams and pollution. Making money on car-sharing isn’t the goal right now for automakers, experts said. Instead, they are using the services to learn about customer habits and best practices as they prepare to fight for a share of the robotaxi market as they evolve into mobility providers and move away from simply building and selling cars. “Akio Toyoda made a clear statement at the beginning of this year at the Consumer Electronics Show in Las Vegas, where he shared our willingness to transition from an automotive company to a mobility company,” said Luigi Ksawery Luca, the director of mobility and connected cars at Toyota Europe. Toyota has just expanded its Yuko hybrid car-sharing service to Venice. It is already in Dublin and Forli, Italy. Among the three cities there are fewer than 100 cars, but Luca said Yuko is designed to be a knowledge-seeking trial rather than a profit center. “The purpose is to understand from our side how this business works,” he said. Along with plans to enter the car-sharing sector starting next year, Volvo says it will be able to build robotaxis from its second-generation scalable product architecture, known as SPA2. “We should have one specialized car for ride-hailing companies. This car will be very different because it will be built without a steering wheel,” Hakan Samuelsson told journalists when introducing Volvo’s 360c autonomous vehicle concept last month. Volvo last year signed a deal with Uber to sell the ride-hailing firm up to 24,000 XC90s underpinned by the first-generation of SPA. VW Group's Moia mobility unit is focused on getting people around in crowded cities to help reduce traffic jams and pollution. Moia has been running a test service in Hamburg using an electric minibus from the VW commercial vehicle unit. The Car2Go spokesman said the service allowed potential customers an easy way to test drive cars from Mercedes-Benz and sister brand Smart. “To see that they work perfectly could be a reason for people to opt to buy a new Mercedes or Smart, combustion or electric,” he said. Volkswagen plans to use its We Share service in Berlin as a bridge to its coming range of electric vehicles, after starting with e-Golfs and e-Ups. “Starting in 2020, We Share is to support the market introduction of the new generation of our new, all-electric I.D. models and thus make a significant contribution to the Volkswagen brand’s e-mobility offensive,” Juergen Stackmann, VW brand’s board member for sales, said in a release in August. Although car-sharing vehicles represent a tiny fraction of cars on the road in Europe, automakers say they are learning invaluable lessons. “User experience is king. It’s absolutely fundamental,” said Luca of Toyota. “But customer experience is not only an app – it has to be supported by technology, and it’s also dependent on operations that are behind the service.” That means making sure the cars are cleaned, fully fueled or charged, and in appropriate locations, whether free-floating or fixed points. Indeed, car-sharing can succeed or fail based on such relationships. Car2Go pulled out of London in 2011 and Toronto this spring, largely due to parking issues. “The general problem was that we didn’t come to a satisfying parking agreement with the cities,” the Car2Go spokesman said. “It’s crucial that customers can basically end their rental on every public parking spot inside the defined Car2Go home area. Before the city council changed the legal framework, Toronto was one of our most successful Car2Go cities in North America, with 80,000 customers. It was really disappointing to leave the city, but the strict regulations left us no choice,” he said. Car-sharing service requirements are also shaking up aftersales, which is a key profit center for automakers. “Now, carmakers have dealerships, and customers bring in their cars for maintenance. That won’t be the case in the future, so you need to know where to locate service centers. It’s not just about repairs, it’s also about cleanliness and lost and found items,” Phillips said. Other critical factors are city selection, whether to have free-floating or fixed-point vehicles, insurance, and damage control, experts said. Scale is essential to provide coverage and to create a “network effect” of new users, analysts and automakers said. If the BMW-Daimler merger is approved, “All of a sudden you do not have 750 DriveNow and 550 Car2Go cars in Munich, you have a combined fleet of at least 1,300 cars, which decreases the average distance for the users to reach the next vehicle. This is key for further use cases and convenience, and maybe even for attracting additional users to register and use the service,” said Thomas Pottebaum, who is a director at Deloitte.